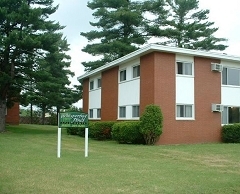 Discover a warm and welcoming place to call home when you tour our affordable apartments in Wausau/Schofield, Wisconsin. We offer clean, quiet, affordable apartments. This low traffic residential neighborhood is a safe neighborhood and minutes from shopping centers & high school. Some tenants enjoy Park like setting, deer, turkeys, etc.